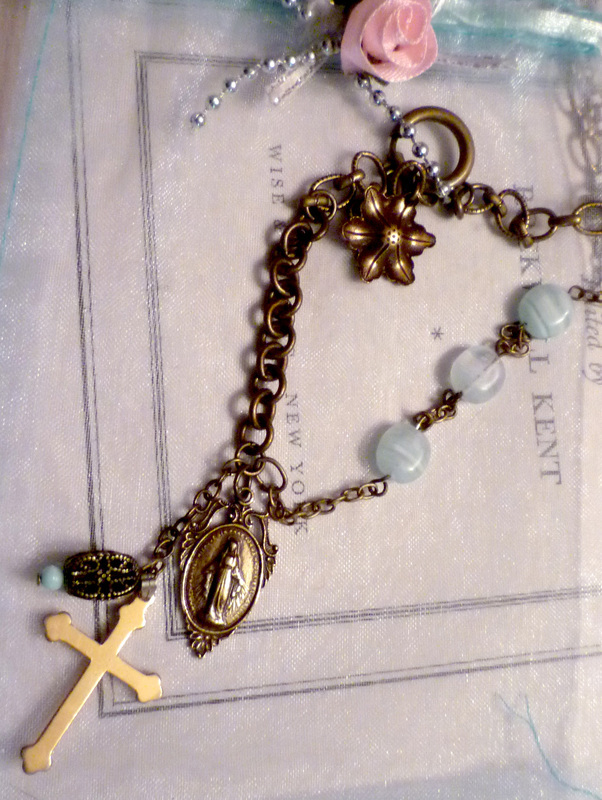 Vintage symbols with the antique look, collected from flea markets and designed into fun and unusual jewelry. 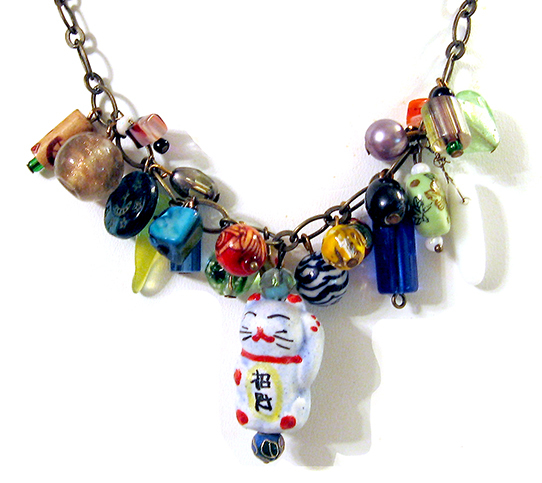 Lucky Charm Necklace - Maneki Neko symbol is for good luck, money and happiness. 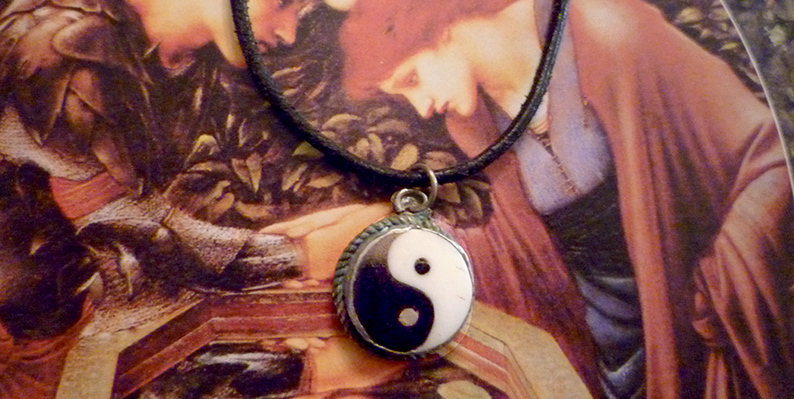 Assorted glass beads on antique brass chain 20"
Perfect Balance Yin Yang Necklace - Vintage Yin Yang Symbol on leather, silver lotus engraved on reverse, 24" necklace .